New Phones, VR Gear and even a strong answer to IPhone’s Siri today’s Samsung event in Lincoln Center had it all. If you weren’t able to keep up with all the announcement’s we have you covered. Samsung was hoping for a change in fortune with today’s event after the way their Note 7 was publicly recalled. 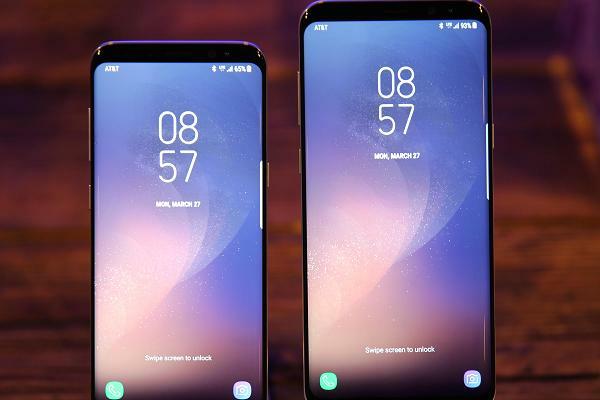 They started with the new and improved Galaxy S8 which comes in two different sizes the regular and the plus size (pictured below), and yes they are both bigger than the last model. 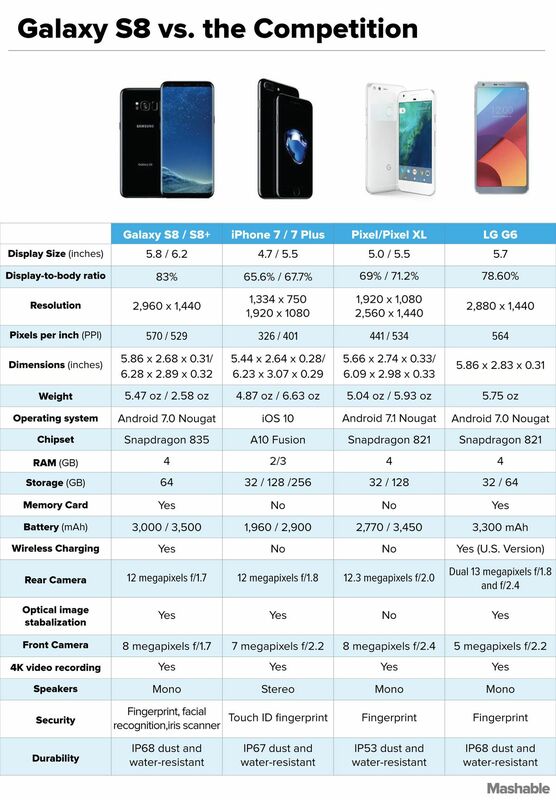 The battery capacity for the new phones are the same as last year’s S7, while the plus model has about a 3% less capacity than the S7 edge. The problem is both S8 models have larger displays causing a higher drain on the battery. Samsung did note that software and processor efficiencies will let the new phones offer all-day battery life if it is being used normally and not being overly used. The display on the S8 is 5.8 inches while the S8 plus measures at 6.2 inches and the widths are the about the same with no major change. The edge distinction is gone and Samsung is now offering a more curved look for their phones. No longer will you have a physical home button but rather a virtual home button at the bottom of the phone’s display. Now for Bixby, Bixby is the new voice assistant that Samsung has put out alongside the new S8 Phones. Samsung has high hopes for Bixby saying that it could do more than any current voice assistants that companies like Apple, Samsung, and Amazon offer. For one Bixby can offer information on items that your camera scans, and can assist on any smartphone tasks that uses touch. There are limitations on Bixby though and these include working with mostly Samsung Apps, such as the Photo Gallery and Messages, Samsung is leaving open the idea that other apps will adopt Bixby, so there’s more to be seen. Avid selfie takers will be happy with the fact that the front camera is improving from 5 megapixels to 8 while the back will remain the same at 12 megapixels. The phone is water and dust resistant. Another new feature is the Iris scanner which will allow you to unlock the phone just by looking at it. While that’s all for the phone news Samsung did not stop there, they also unveiled new additions to their virtual reality camera, the Gear360. The additions include being able to work with not only Samsung phones but IPhone as well, another new quality of the Gear360 is the ability to work in 4K. Their final feature announced was the ability to turn your Samsung phone into a desktop computer when connected to a regular TV. Accidents happen all the time and you would like to be covered by a extended warranty once your manufacturer’s warranty is up so sign on with cpscentral.com today and make sure your new Samsung devices are fully covered.